In the not-too-distant future, Netflix will be bringing fans a brand-new season of the cult series Mystery Science Theater 3000, and they have announced April 14 as the day MySTie’s can watch all 14 episodes. Check out the debut photo from the series in the gallery below! 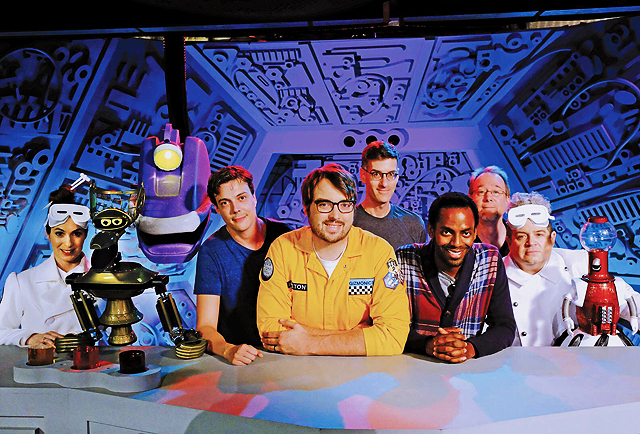 Created and co-directed by Joel Hodgson, the Mystery Science Theater 3000 revival stars Jonah Ray (The Nerdist Podcast, Maron) as Jonah Heston, along with his robot sidekicks Tom Servo (Baron Vaughn, Grace and Frankie) and Crow T. Robot (Hampton Yount, The Eric Andre Show), who are forced by Kinga Forrester (Felicia Day, The Guild, Dr. Horrible’s Sing-Along Blog) to watch (and hilariously mock) terrible movies onboard the Satellite of Love. Comedian Patton Oswalt (Young Adult) will appear as Luke Forrester, Kinga’s henchman. Star Wars star Mark Hamill is slated to be one of many guest stars throughout the season. In late 2015, Hodgson started a highly-successful Kickstarter campaign to fund the new season, which through voracious fan contributions netted $5.7 million, a Kickstarter record. While they have yet to reveal the B-movie titles that will be riffed on by Jonah and the bots, Hodgson has previously stated that many of the titles were licensed through Shout Factory, the label that also distributes the classic episodes of MST3K on DVD/Blu-ray. The original Mystery Science Theater 3000 was created and hosted by comedian Joel Hodgson and produced out of Minnesota from 1988 to 1999 for 197 episodes, each cracking jokes over a different piece of trash cinema from badly-dubbed Japanese Gamera movies to the obscure sleaze masterpiece Manos: The Hands of Fate. Halfway through the show’s run, Hodgson left the show over creative differences and was replaced as host by head writer Michael J. Nelson, who also starred in 1996’s Mystery Science Theater 3000: The Movie. 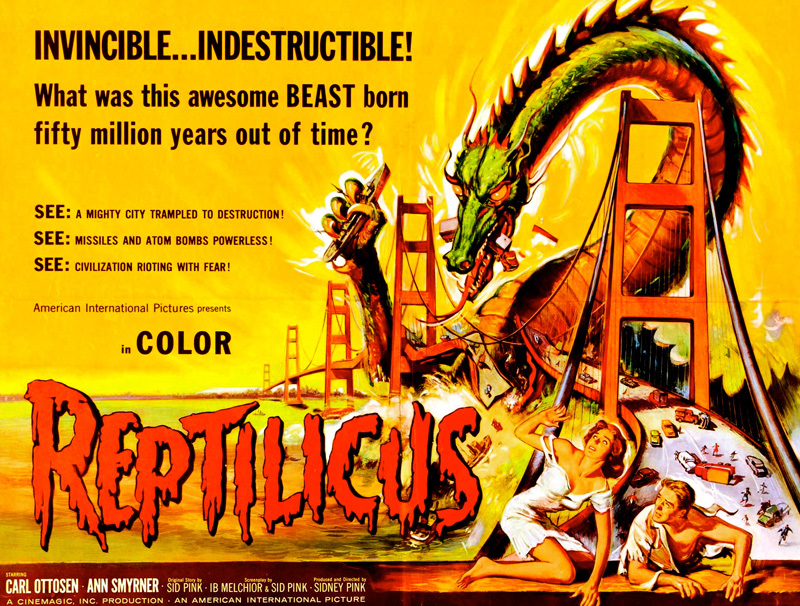 Are you excited about the Mystery Science Theater 3000 revival? Will you binge all 14 episodes when they drop on Netflix in April? Let us know in the comments below!